The Listening Centre is a private clinic established in 1978, using listening training - a program of sound stimulation and counseling - as the primary mode of intervention. It is the first and only clinical facility which has offered uninterrupted services in America. This approach is based on the work of Dr. Alfred Tomatis, a French physician, ear, nose and throat specialist and developer of a therapeutic method that he named ‘Audio-Psycho-Phonologie’, better known now as Listening Training or Tomatis Method. Tomatis found that receptive and expressive communication, attention span, learning ability, social behavior, self-regulation, activity level, motor function and coordination are all related to ability to listen. He made a major distinction between hearing and listening. While hearing is the passive, involuntary function of sound perception, listening is active and voluntary. When well developed or well trained, the listening function allows us to focus on the sound information we need and leave out, or protect ourselves from those we don’t. 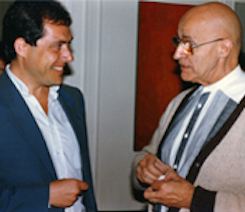 The work of Dr. Tomatis was already applied in Canada at the Child Study Centre, department of Psychology of the University of Ottawa under the direction of Dr. Agatha Sidlauskas and at the Toronto Montessori School (TMS). Back to The Listening Centre, it all started when a Canadian company called MDS Inc. invited Dr. Alfred Tomatis to advise on setting up a clinic in Toronto. Paul Madaule, a French trained psychologist and Dr. Tomatis assistant in his Paris Centre, came as a full-time employee responsible for training the staff and running the clinical aspect of the operation. The original facility created by MDS was called the Tomatis Centre and operated out of two locations in Toronto and one in Montreal from 1978 to 1984. In 1984, Paul partnered with Tim Gilmor PhD, a registered psychologist who had been hired by MDS to co-direct with Paul the professional services of the Tomatis Centres. Tim and Paul called their clinic ‘The Listening Centre’. The Centre also became a teaching facility for professionals who were interested in the practice of Listening Training, helping them setting up Centers in the US, Mexico and Panama. In 1990 Paul Madaule took over The Listening Centre and relocated on the second floor of a building in the Mirvish Village on Markham Street. 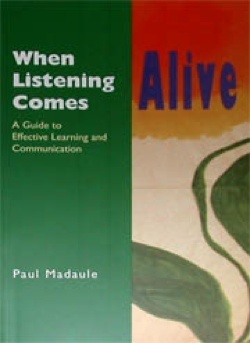 In 1993, Paul published his book When Listening Comes Alive. This publication and the media attention generated such an increase in clientele that the Centre had to move to a bigger space and relocated across the street to a 3-stories house, at 599 Markham Street until August 2016. In 1995, the work at the Centre was the theme of two 1-hour TV documentaries produced and directed by Helga-Liz Haberfellner for the discovery Channel, The Child That You Do Have on the work of The Listening Centre on Autism and The Key to the World on reading and other Learning Disabilities. The one on autism generated so much interest that we had to build a new room to work on multi-sensory modalities with young children, the 'Sensory Room'. In 1999, Paul and the team of the Centre created Listening Fitness with the LiFT®, a portable audio-device and professional training course that provide the Listening Training work to wider audiences. In some situations determined by the Consultant, the LiFT is used for home programs to complement the work done in the Centre for clients who live far away and who require prolonged programs and reinforcement ‘boosts’. Dr. Norman Doidge, author of the international best seller The Brain That Changes Itself on neuroplasticity, released his new book titled The Brain’s Way of Healing in 2015 with one chapter, A Bridge of Sound, dedicated to the work of Dr Tomatis, Paul Madaule and on The Listening Centre. In the fall of 2016 The Listening Centre moved to a new location in a totally renovated Victorian house at 94 Harbord Street Toronto in the Harbord Village, half a block to the University of Toronto.